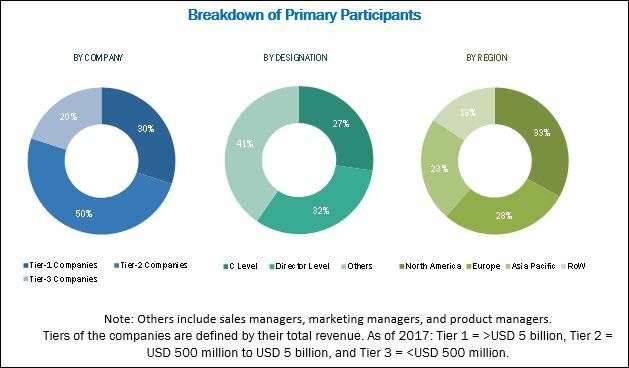 [109 Pages Report] The global hyperspectral imaging systems market is projected to reach USD 21.33 billion by 2023 from USD 8.14 billion in 2017, at a CAGR of 17.5%. The base year considered for the study is 2017 and the forecast period is from 2018 to 2023. Hyperspectral imaging is an innovative technology that is used to acquire and analyze images of an object. With continuous advancements in hardware and software for image processing and analysis, hyperspectral imaging is increasingly being used in a number of research projects across the globe. Hyperspectral imaging offers several advantages, such as higher specificity and granularity, higher image acquisition speed as compared to other spectral imagers, and non-invasive imaging. Considering its advantages, the technique is used in various application areas with support from authorities in the form of funding and grants. If this trend continues in the coming years and assuming that hyperspectral imaging helps in achieving effective outcomes in various research activities and applications, a greater number of research projects will actively employ hyperspectral imaging systems. Hence, the increasing applications of hyperspectral imaging are encouraging market players to invest in this market. The availability of funding will enable startups and existing firms to launch innovative products, expand their product portfolios, and capitalize on the growth opportunities in the market. Over the years, there have been significant advancements in spectrographs and detector designs, which have resulted in decreased costs and improved instrumentation capabilities. As a result, hyperspectral imaging is increasingly being used in various application areas. Unlike conventional cameras, hyperspectral cameras acquire a 3D image cube and spectral information, which is appropriate for any situation where images have to encompass a large area and encode a great deal of information within a single view. In the primary research process, various sources from both the supply and demand sides were interviewed to obtain qualitative and quantitative information for this report. Primary sources are mainly industry experts from the core and related industries and preferred suppliers, manufacturers, distributors, technology developers, researchers, and organizations related to all segments of this industry’s value chain. In-depth interviews were conducted with various primary respondents, including key industry participants, subject-matter experts (SMEs), C-level executives of key market players, and industry consultants, among other experts, to obtain and verify the critical qualitative and quantitative information as well as assess future prospects. 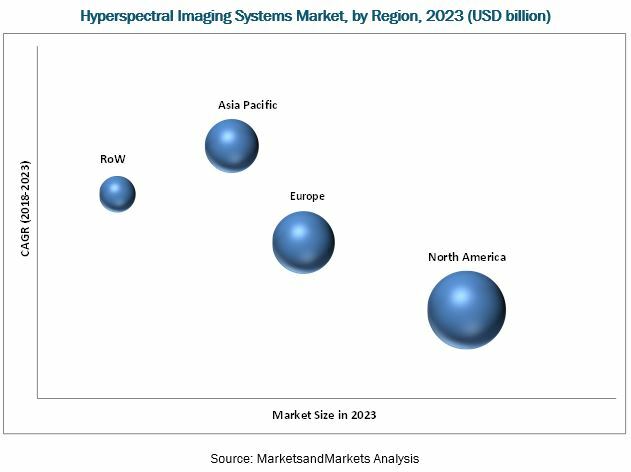 For the market estimation process, both top-down and bottom-up approaches were used to estimate and validate the market size of the hyperspectral imaging systems market as well as to estimate the market size of various other dependent submarkets. All possible parameters that affect the market covered in this research study have been accounted for, viewed in extensive detail, verified through primary research, and analyzed to get the final quantitative and qualitative data. This data was consolidated and added to detailed inputs and analysis from MarketsandMarkets and presented in this report. Secondary sources such as directories; databases such as D&B, Bloomberg Business, and Factiva; white papers; annual reports; company house documents; investor presentations; and SEC filings of companies were referred. The hyperspectral imaging systems market comprises several large as well as small players. The key growth strategies adopted by the players in the market include acquisitions, agreements and partnerships, expansions, and product launches & approvals. The prominent players in this market include Headwall Photonics (US), Corning Incorporated (US), SPECIM (Finland), Resonon (US), Telops (Canada), Norsk Elektro Optikk (Norway), Applied Spectral Imaging (US), BaySpec (US), Surface Optics Corporation (US), and ChemImage Corporation (US). SPECIM signed agreements with three companies, namely Tech Imaging Services, Line Associates, and DATVISION to strengthen its distribution network and sell Specim hyperspectral cameras, systems and accessories. Advanced sensor payloads (consist of hyperspectral sensors and LIDAR for deployment on unmanned aerial vehicle platforms). Corning Incorporated acquired assets of NovaSol (US), a provider of advanced hyperspectral imaging systems. NovaSol specializes in the research and development of next-generation active and passive optical systems, including electro-optical systems and optical communication systems. The acquired assets will be integrated into Corning’s Advanced Optics business unit, which is a part of the Specialty Materials division. Headwall opened a new facility in Boston, US to expand its engineering, sales, and marketing capabilities to meet the increasing demand for its spectral imaging solutions. Headwall established five new reseller organizations namely, Spectra Research Corporation (Canada), Integrys (Canada), Inventech (Netherlands), Kvalitest Nordic Oy (Finland), and T3TEC LLC (US). This helped the company increase its customer base and enhance its core competencies.